As in, I am annoyed that it’s not just done. As in, I found myself wanting to just stay home from work in order to get stuff done at home. Pesky jobs. You know, other than funding the project. The good news is that there is a light at the end of the tunnel. Which is good considering we’re throwing a party in 2 weeks and well, the half bath is kind of crucial for that type of event. Luckily we have lights on for now and barring a few more hours of allowing paint to try, we should have lights from here on out – which is fantastic for my sanity! It means I don’t have to come home and chop and prep like a mad woman with the daylight hours waning. So obviously, that means we need to celebrate. And you know how we celebrate on this blog, right? Buffalo chicken. 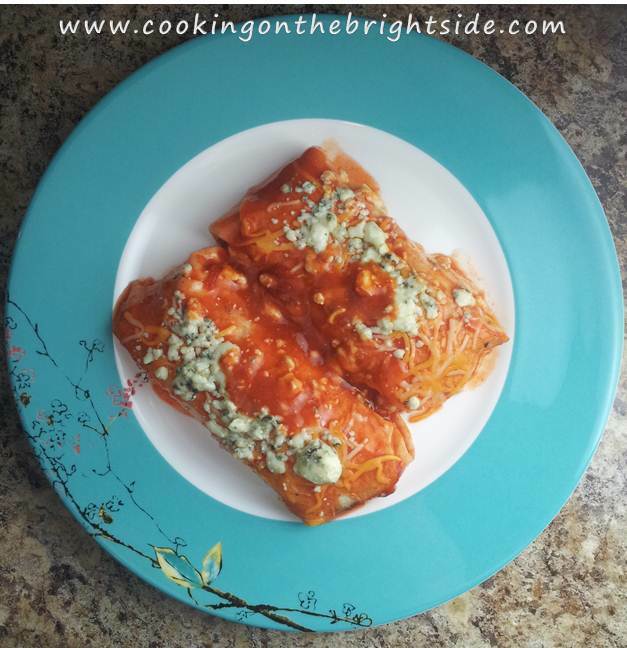 I figured if my buffalo chicken tacos turned out to be a hit, these had to be. Y’all. They are delicious – I highly suggest them for a delicious dinner the next time you just want to park on your couch and watch a big game. Super easy and they do not take long to throw together. I know you might think I’m ashamed of my love for all the buffalo things – but I’m not. Not even a little. Give these a try and let me know what you think! 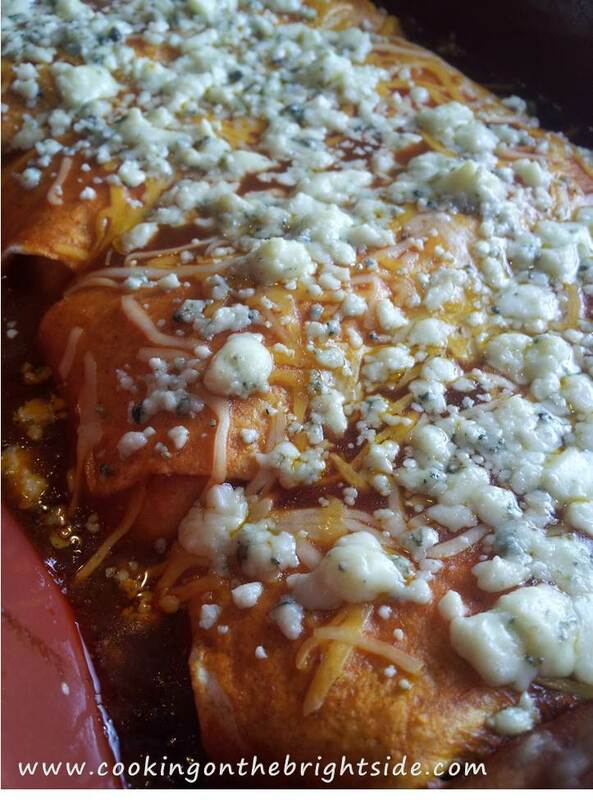 In a small bowl, mix together enchilada sauce with 1/3 cup hot sauce. Adjust as your heat tolerance dictates. 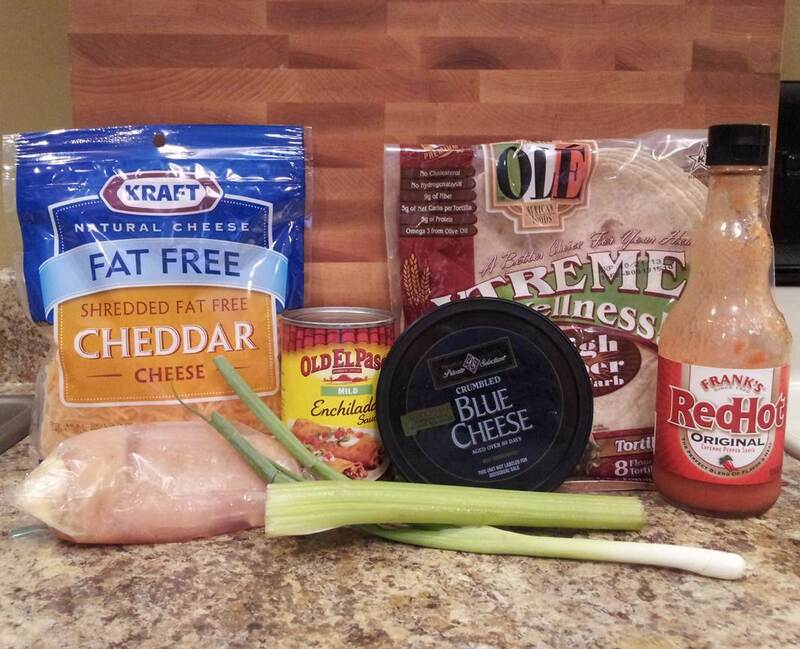 In a medium bowl, mix shredded chicken with 1/4 cup shredded cheese, green onions, celery, 2 Tbsp. hot sauce and about 1 Tbsp. of the enchilada sauce mixture. 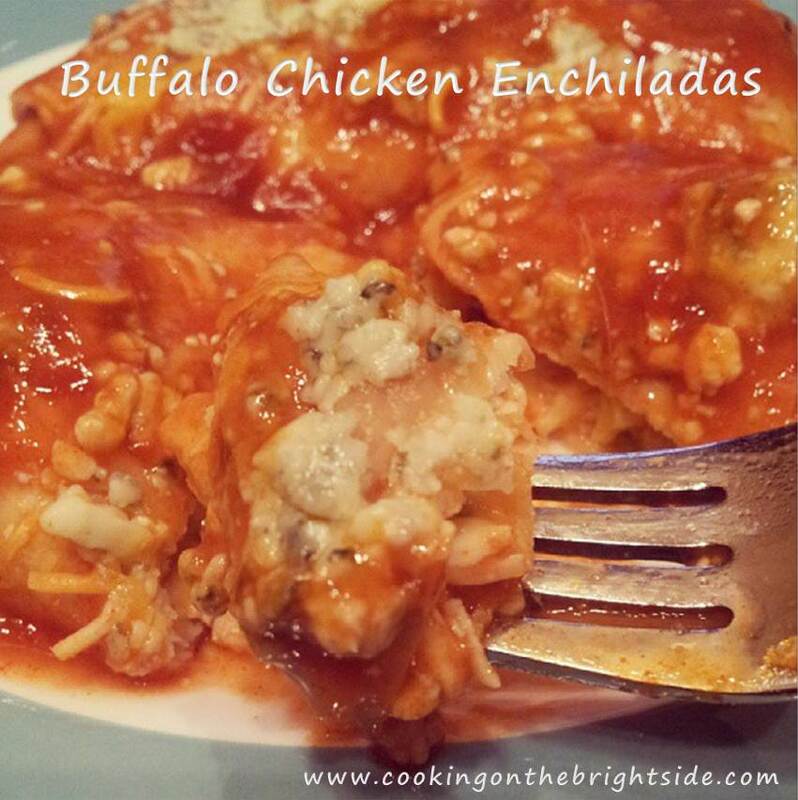 Add a thin layer of enchilada sauce in the bottom of a lightly greased casserole dish. Add 2-3 Tbsp. chicken mixture in the center of each tortilla. 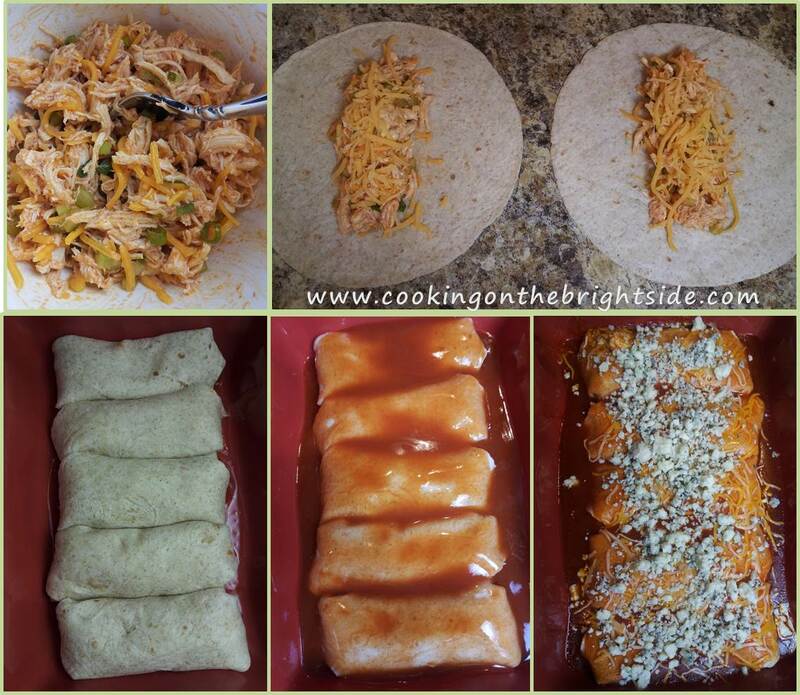 Roll lengthwise and fold ends under and place seam-side down in the casserole dish. 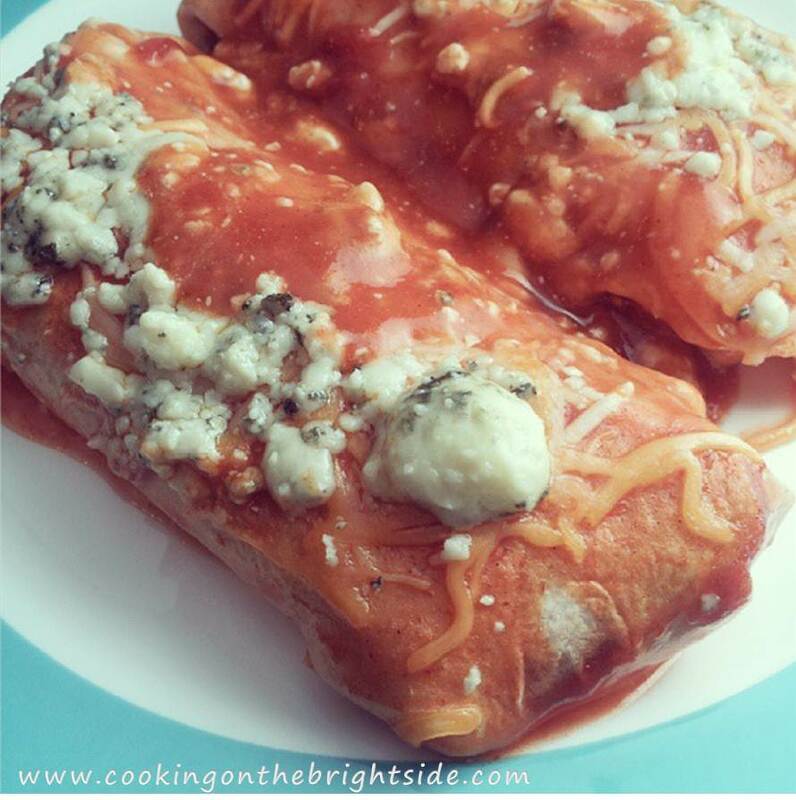 When all of the tortillas are filled, pour remaining enchilada sauce over top. Add remaining shredded cheese. Bake for 20 minutes. Remove and sprinkle with blue cheese and cook another 5-7 minutes until sauce is bubbly and cheese is melted…yeah baby.